These questions can help you choose the right care provider and have the best birth possible. Finding the right person to care for you and your baby during pregnancy, labor and birth is one of the most important decisions you will make, and it can help you feel confident to push for the safest, healthiest birth. As you review doctors and midwives in your area, the following questions can help you find someone who will provide the care you are looking for. Asking questions and providing information builds trust, and it's the best way to make sure everyone is working toward the same goal – the safest, healthiest birth possible for you and your baby. 1. What is my role in helping to achieve a safe and healthy birth? This is an important question that will help you determine whether your care provider will be respectful of your choices and invite your input. By being an active and attentive participant in pregnancy, labor and birth, you can help achieve the best outcomes for you and your baby. Your health care provider – doctor or midwife – has important knowledge and skills, but they don't always know everything about you or what is best for you and your baby. Find out how openly you can share your needs and work in partnership with your care provider to get the care that's best for you. 2. What standard routine practices should I expect in labor? Get the most out of your conversation and be specific. Find out more here in Childbirth Challenges. 3. How will you work with me as your patient to identify mine and my baby's unique needs? You and your baby's unique needs should be front and center throughout pregnancy, labor and birth. Like any other kind of health care, maternity care isn't perfect. A lot of the regular care that pregnant women get includes interventions that don't always help and can sometimes even cause harm. Ask your care provider about what's negotiable and what's not. Weigh the answers you get; they will give you good insight into whether you've found a good match. It's important to work with your health care provider early on, because routine care isn't always designed for you and your baby's individuality. Remember that getting the care that matches your and your baby's needs may mean saying, "I'd like to consider another option." 4. How do you feel about me bringing someone like a doula for one-on-one support? Many women count on having a nurse by their side to provide important support. But labor nurses may be caring for several women at the same time, and may not have the time to provide contraction by contraction support. Dads are often expected to fill this role, but many times they are new to the process too and need cues on how to best be supportive in labor. A continuous support partner, such as a doula, can help you navigate your labor, support good decision-making and help make sure you're able to communicate your wishes to your health care provider. Keep in mind, some health care providers may not agree to the use of a continuous support partner, such as a doula. Be prepared to ask them "why?" 5. What is your rate for C-sections? What are the main reasons you perform them? Is there anything you know about me and my baby that might suggest I would need a C-section? 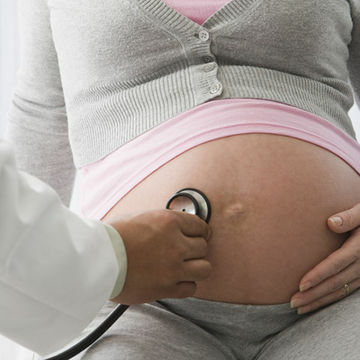 A health care provider's C-section rate can tell you a lot. Cesarean surgery can save lives, but just like any other surgery, it carries risks for you and your baby. More and more babies are being delivered by cesarean, even when there's not a good medical reason to do so. One of the best ways to reduce your chances of a C-section is to give birth in a location , and with a provider, that maintains low cesarean rates . There is no federal requirement for health care providers to report this information, so you need to ask your care provider directly for these details. If your health care provider has a high rate because they say they care for many "high risk" women, be sure to probe about what they consider to be "high risk." 6. Do you limit the length of labor? Or will you support continuing labor as long as my baby and I are doing OK? Certain care providers and birthplaces may be under pressure to speed up the birthing process, or put a time limit on your labor and birth. Labor is an intense process, at times overwhelming and draining. But, the good news is that your body is perfectly designed to birth your baby. It's important for you to find out if your care provider will give your body and your baby time to move the process along, and let nature take its course . Childbirth education classes can help you identify various options to keep labor progressing. 7. How often do you perform inductions? What are the main reasons you perform them? Is there anything you know about me and my baby that might suggest I would need an induction? Due dates aren't an exact science. Even if you and your care provider feel sure about your date, every baby matures at a different rate. Inducing labor can mean your baby is born before he or she is ready. Labor should only be induced if it is more risky for your baby to remain inside than to be born. Studies have consistently shown your risk of having a C-section nearly doubles with induction with your first labor. It also increases your baby's chance of being born premature. Your best chance of avoiding an induction is by finding a health care provider who uses them sparingly. Lamaze childbirth education classes can also give you many strategies to help labor start on its own. 8. How will you monitor the baby's heartbeat during labor? We all want to know our babies are doing OK. Using the same thinking, most care providers will monitor your baby's every heartbeat during labor using electronic fetal monitoring, or EFM. However, EFM can mean you are confined to a bed and not able to use gravity and movement to advance the birthing process. Studies show that a baby's heart rate can be monitored just as safely with a nurse, doctor or midwife regularly checking in to listen at key points in your labor with a Doppler hand-held monitor or something similar. Talk with your health care provider about whether they use intermittent listening so you can move freely, relax between contractions, and avoid the anxiety that comes with being tied to a machine. Ask whether the nurses on staff will use it too. 9. Will I be able to move around during labor, or will I be confined to bed? In what position will I be giving birth? Contrary to Hollywood's portrayal of labor, lying on your back in a hospital bed is not the only way to give birth! In fact, walking, moving around and changing positions throughout labor makes the birth of your baby easier. Movement is a natural and active way of responding to the pain of childbirth. When it comes time to push, staying off your back and pushing with your natural urges can be key to making it as easy as possible on you and your baby. Find out if your health care provider will encourage you to stay mobile. 10. Will my baby be kept in the nursery or in my room? In many hospitals, it's standard procedure to separate mom and baby for periods of time. However, research has shown that it's best for mom and her healthy baby to stay together after birth. Skin-to-skin contact helps your healthy baby stay warm, cry less, and be more likely to breastfeed. In fact, interrupting, delaying or limiting the time that mom and baby spend together may have a harmful effect on their relationship and on successful breastfeeding. Talk to your care provider and ask if they support "rooming-in ," which will maximize your time with your little one, as well as opportunities for breastfeeding. This and more resources can be found on the Lamaze Push for Your Baby website. Lamaze International, www.lamaze.org, promotes a natural, healthy and safe approach to pregnancy, childbirth and early parenting practices. Lamaze serves as a resource for information, based on the most current medical advice, about what to expect and what choices are available during the childbearing years. Giving Birth with Confidence is the Lamaze blog written for and by real women and men on topics related to pregnancy, birth, breastfeeding, and parenting. The Lamaze Push for Your Baby campaign provides expectant parents with the support and information needed to spot good maternity care and push for the safest, healthiest birth possible.